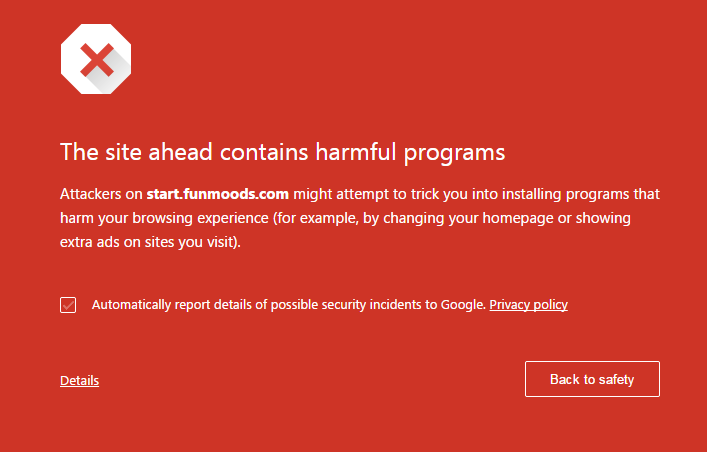 Are you stuck on trying to remove Funmoods from your Google Chrome? We will explain you how to remove Funmoods in easy steps. 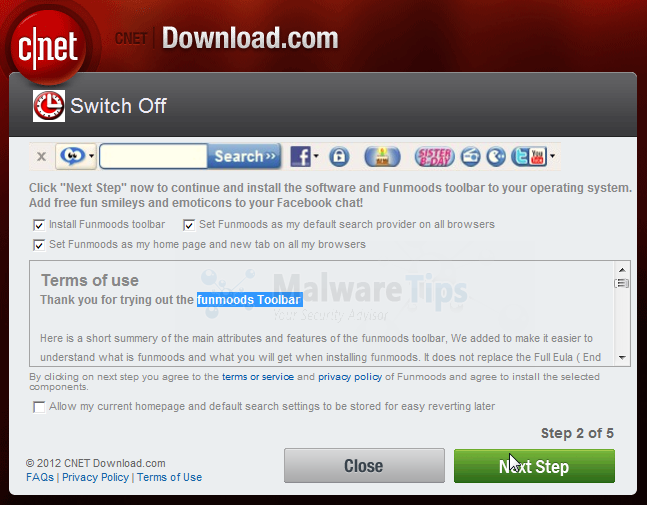 First, you have to know what Funmoods is, Funmoods is a free add-on for your internet browsers which has stepped over the line. They install harmful programs into your computer without your authorisation, they claim to give you free emoticons for your Facebook, in fact those emoticons can only be seen by yourself while chatting with your friends, your friends will have to install Funmoods to see them, that's one of some ways how it spreads. Funmoods can be also hidden in add-on you install from Chrome Web Store, always read the comment section first from the people who have installed add-on you are going to install. Example how Funmoods is attached in a free software installation. And mostly, Funmoods is hidden in a free software installation, avoid proceeding or clicking "Next" too fast when you are installing free software. Make sure you unmark extra installation while installing free software. To remove Funmoods completely from your computer, try to install a anti-spyware and anti-malware into your computer. These are the best which are able to remove Funmoods, you can use those trial version. Those two software are capable to remove Funmoods very well. Once you have one of them installed and removed Funmoods from your computer, now you have to open Registry Editor (click "Start" > Run > Insert "regedit"). Delete anything that contains "Funmoods", if you find nothing in those directories, they might be already scattered around in the same directories, or they are already removed by AdwCleaner or Spyhunter 4 you have used. If you are advanced enough of operating computers, go to these directories below. But if you're not, just skip this in red. Find suspicious entries and remove them. When you have done with steps above, now it is time to clean your Chrome shortcuts, Some malware usually change the command line in shortcuts. 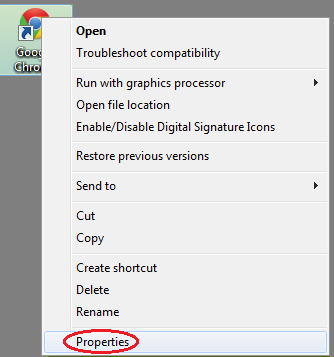 Go to your Google Chrome shortcuts (usually in the desktop), right click on it and click "Properties"
The final steps is go to your Google Chrome and open its extension managers. 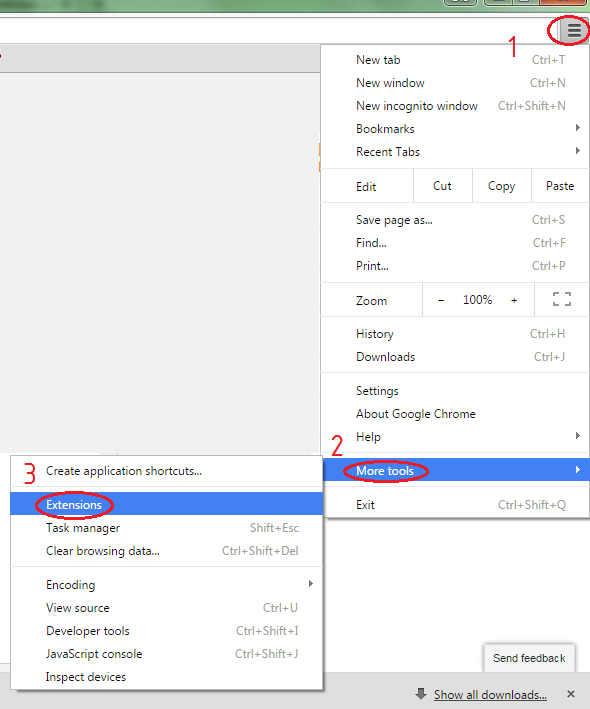 How to open extension manager on your Google Chrome. Make sure there is no Funmoods in your extension list. 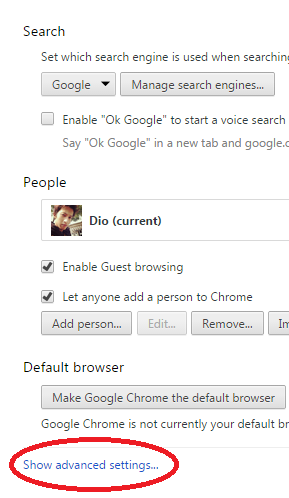 The final step is to go to Google Chrome settings, scroll down until you see "Show advanced settings...", click on it. The location of "Show advanced settings..." at the bottom of the settings page. Scroll down again to the most bottom of the page and click on "Reset settings" button. 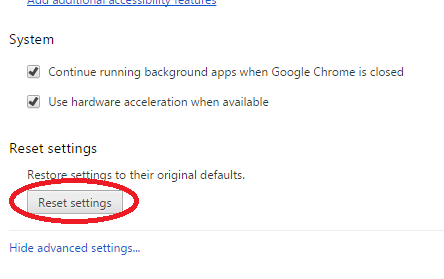 The location of "Reset settings" button, located in the same page after clicking "Show advanced settings..."
Close your Chrome and open it again and see if the problem still persists. 1 response to "How to Remove Funmoods from your Chrome (Tested)"
Thank you!!! The trial version of Adwcleaner can remove it!! !